My logo features my signature specs ...seemed like a perfect fit. how you agree. 'Four eyes are better than two!' 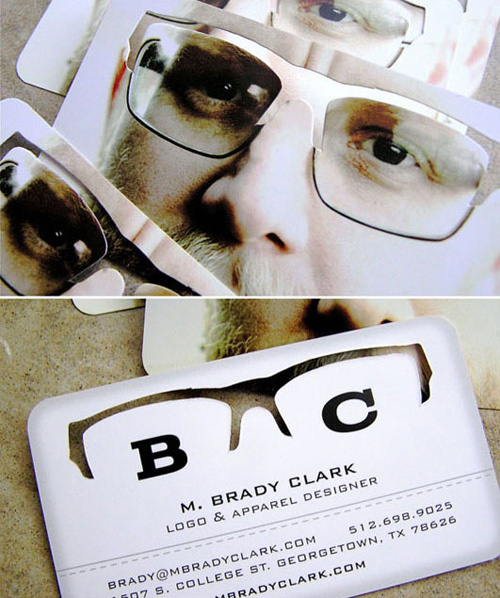 Unique business card with a personal touch.